Autumn is the beginning of the holiday entertaining season. Whether you’re looking forward to a holiday corporate dinner, a beautiful fall wedding in Middle Tennessee, or something in between, this is the season for comforting menus and memorable events! But before you’ve got your hands full of house guests, relatives, and work colleagues, why not enjoy the blissful fall weather by hosting an al fresco dinner with your closest friends. Al fresco is Italian for “in the fresh air” and autumn is the best time to move your dinner party outside. If you’ve never hosted or planned an outdoor evening event, never fear. 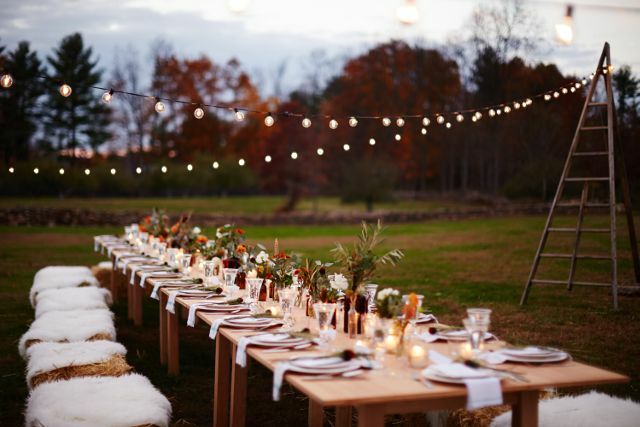 STF Events & Catering can help you create an outdoor fall dinner that your guests will never forget. 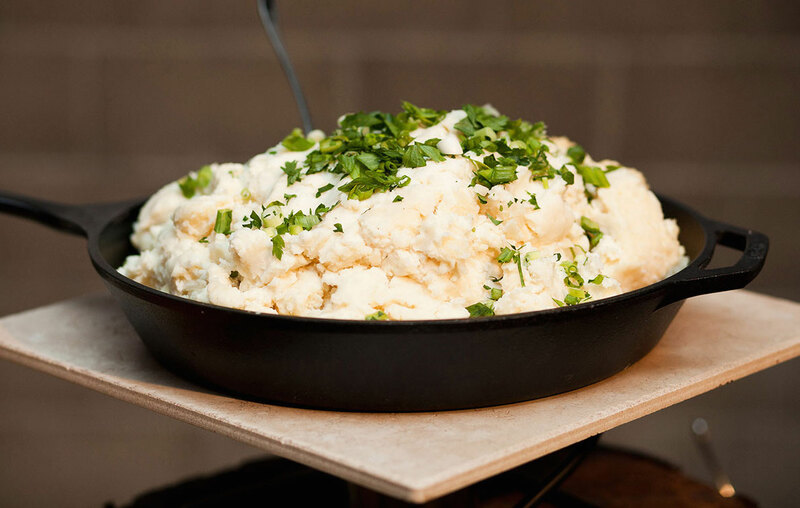 The first thing you’ll need to do is scout out the perfect location to situate your meal. Patios and porches are a great option as are flat and open grassy areas in your backyard. You’ll want to make sure you have enough room for the table, chairs, a small table for the bar, and enough space for your guests to get around the table in case they need to get to the house. When picking your spot, also check to make sure there’s easy access to an electrical outlet. With the sun setting earlier ever day, you’ll want to have some lights so that you’re not eating in the dark! We recommend stringing lights around the table to give your event a magical feeling. Now, you’ve got a few options here. You can grab a friend and move your table outside to the location you’ve chosen or you can rent a table for the evening. You need a table (or two) large enough to hold everyone. 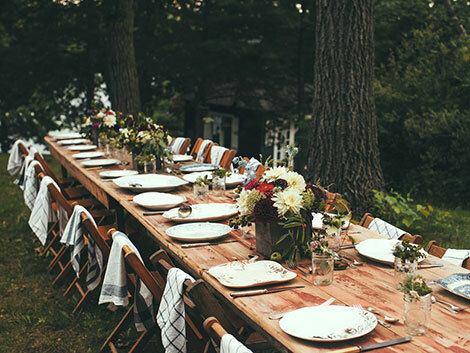 A wood table will work best with the natural feel of your al fresco event. To accompany your table, try a mish-mash of various wood chairs. This will lend an air of relaxation to your table. You can go as fanciful or as casual as your personal style when it comes to your place settings. Classic white china makes for a lovely, minimalist table or gold flatware and gilded plates can escalate your event into something much more upscale. For your tables centerpiece, try using a pumpkin as the vase for your flowers. It keeps with the natural theme and adds a lot of interest. You can even scatter a few smaller pumpkins and some pine cones around your centerpiece to make it look impressively abundant. If these kind of details add too much stress to your life, don’t get down! 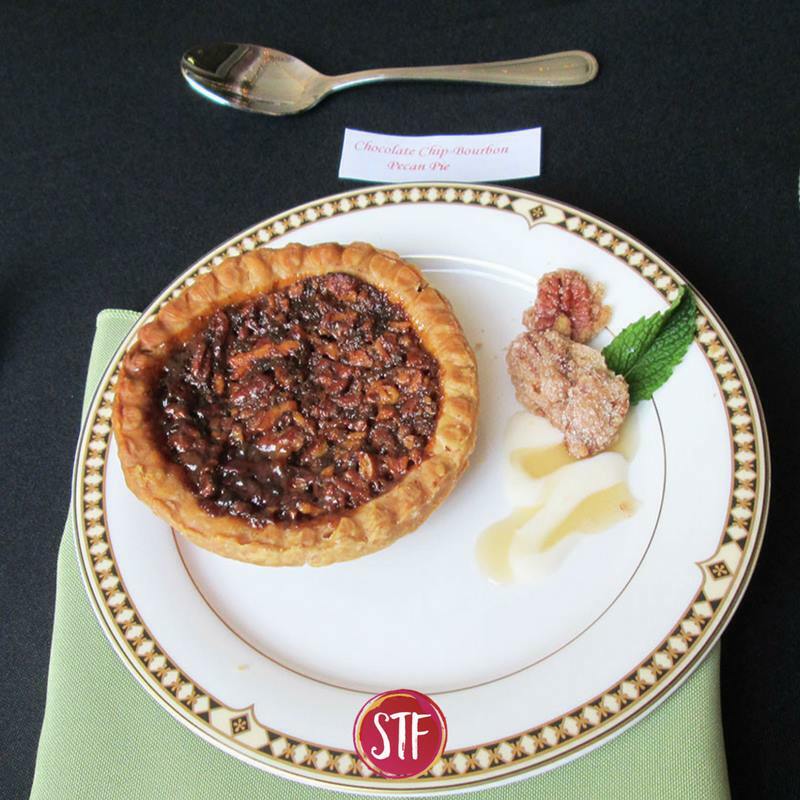 STF Events & Catering can handle all of these little details for you, and we’ll make you look like the host of the year! If you’re looking for cocktail ideas, check out our blog on autumnal cocktails here! We’ll take care of all your bartending needs! Our staff can serve the wine at the table or dole out drinks from a beautiful bar. The most important part! The whole point of an al fresco dinner is to break bread (and other delicious, warm food) with your closest friends, so you need a meal that won’t disappoint. 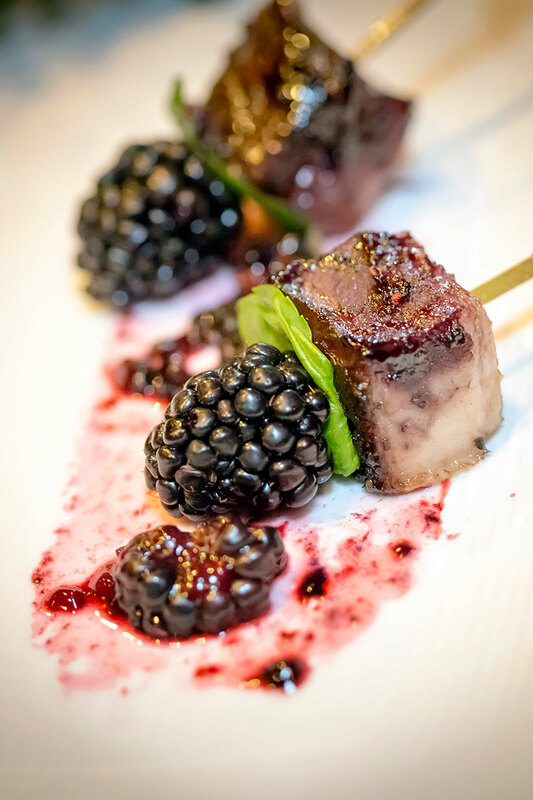 In-house smoked pork belly and chicken, basted with bourbon and brown sugar, cut into bite size cubes and skewered on lollipop sticks. 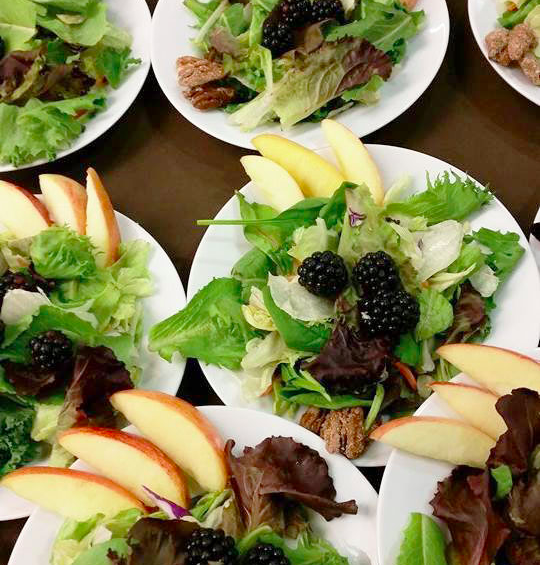 Mixed greens with sliced apples, blackberries, goat cheese, pecans and our Apple Sherry Vinaigrette.